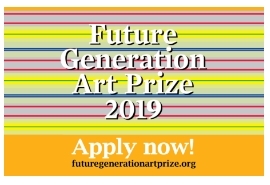 The Future Generation Art Prize is a biannual global contemporary art prize to discover, recognize and give long-term support to a future generation of artists. 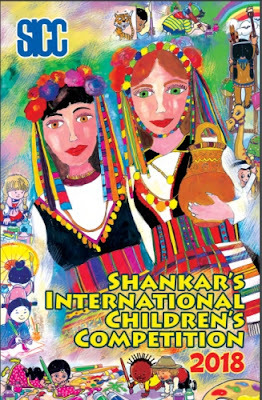 Established by the Victor Pinchuk Foundation in 2009, the Prize supported the artistic development and production of new works of over 84 artists in exhibitions at the PinchukArtCentre in Kyiv and as official collateral events at the Venice Biennale in 2011, 2013, and 2017. All artists aged 35 or younger (minimum 18 years) from anywhere in the world, working in any medium are invited to apply for the Prize. All works of art, regardless of category or media are eligible for submission. The main prize winner receives US$ 100,000 split between a $60,000 cash prize and a $40,000 investment in their practice. Up to 5 special prizes are awarded at the discretion of the jury. A total amount of US$ 20,000 will be awarded to special prize winners for supporting projects that develop their artistic practice.